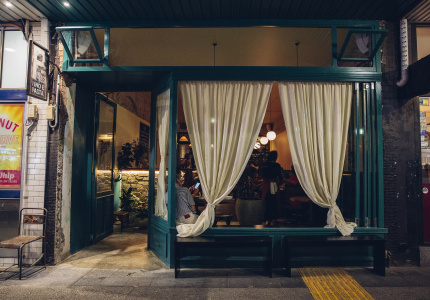 The old-school pub vibe remains, but the drinks list is much more sophisticated. 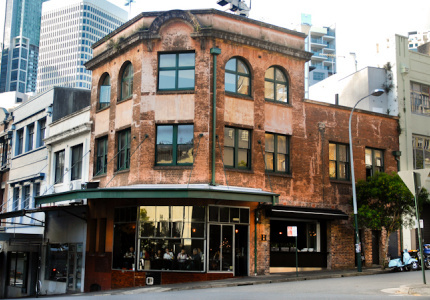 The grand corner pub The Royal has been a resident of Bondi Road since 1907 and now, after a hiatus for a small zhoosh, it has reopened with a similar look but a slightly different purpose. 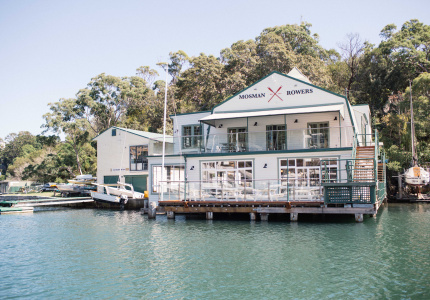 Hospitality giant Merivale (Bar Topa, Coogee Pavilion, Fred’s, among many more) bought the pub in 2017 for a reported $30 million and haven’t done much to it. 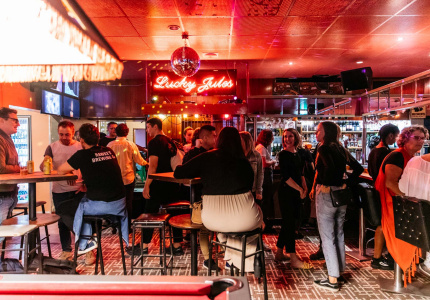 Instead of completely gutting the interior of the venue know for attracting tradies and other wearers of high-vis, the front bar still has the retro-patterned red carpet, pool tables and a dodgy scout hall-looking ceiling. 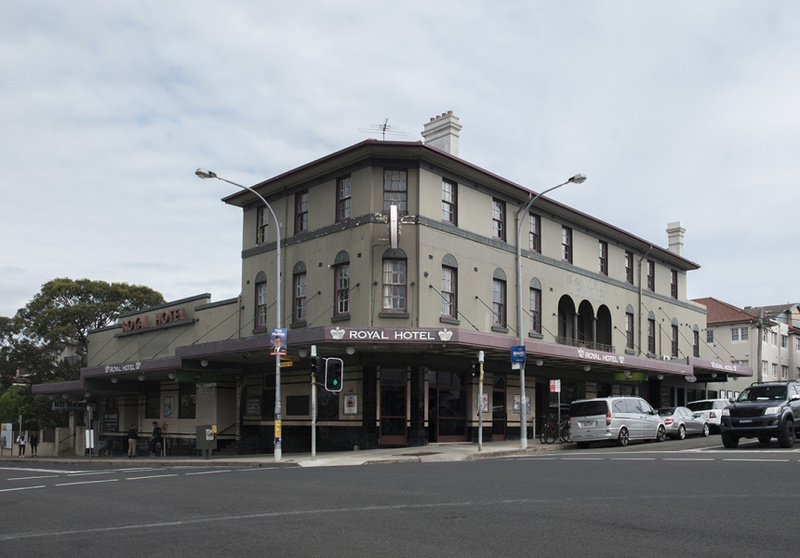 “The Royal has been a Bondi landmark for over 100 years and has a strong heritage and place in the community. 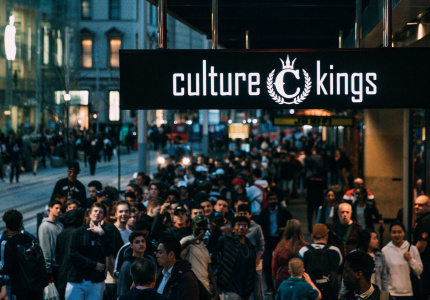 We wanted to preserve it as the cherished local it has always been, with a few extras thrown in,” a Merivale spokesperson told Broadsheet. 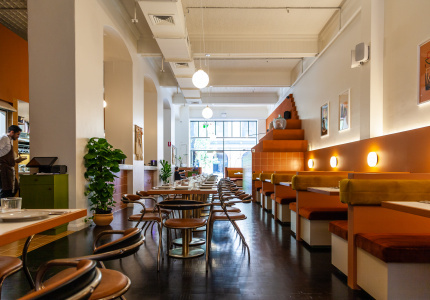 Apart from the bar stools, which have been given an elegant update, and band posters now lining the walls, the only noticeable change is the drinks list. 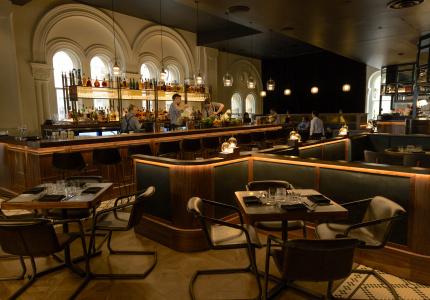 Merivale group bars manager Sam Egerton describes the scene as “high-quality drinks in a low-fi environment”. 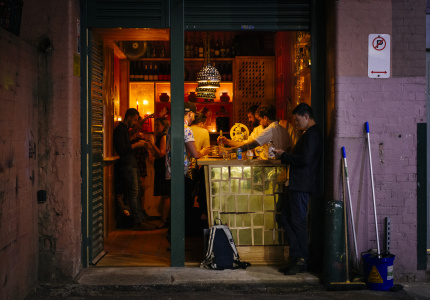 There are frozen Daiquiris, Margaritas, Espresso Martinis on tap, bottled Negronis and Boilermakers. 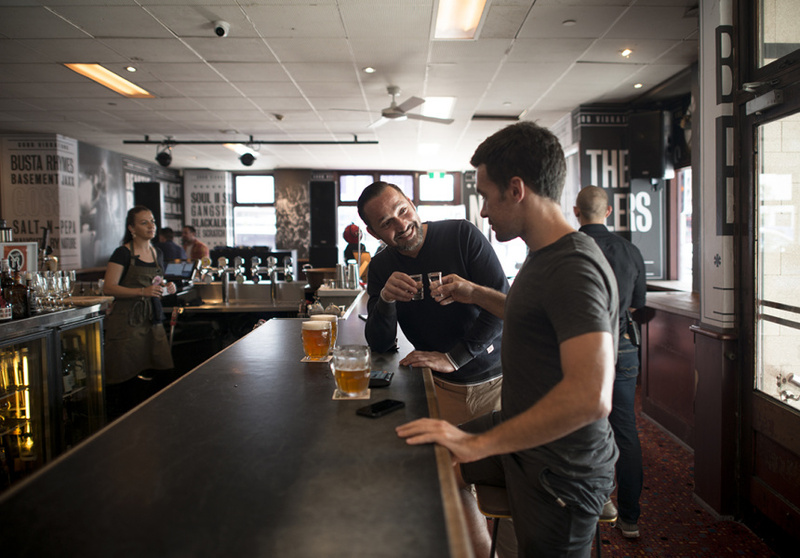 This is where you choose a shot and then chase it down with an ice-cold beer like Furphy, Guinness or Hahn Super Dry, which are available on tap. There’s also a new vending machine, nicknamed “The Machine”, which is packed with tinnies from Young Henrys Natural Lager. It’s a nod to The Royal’s dive-bar aesthetics. There’s a focus on natural wineries (and rosé) from Australia and abroad, such as Commune of Buttons from the Adelaide Hills and Chateau la Tour de l’Eveque from Cotes de Provence in France. 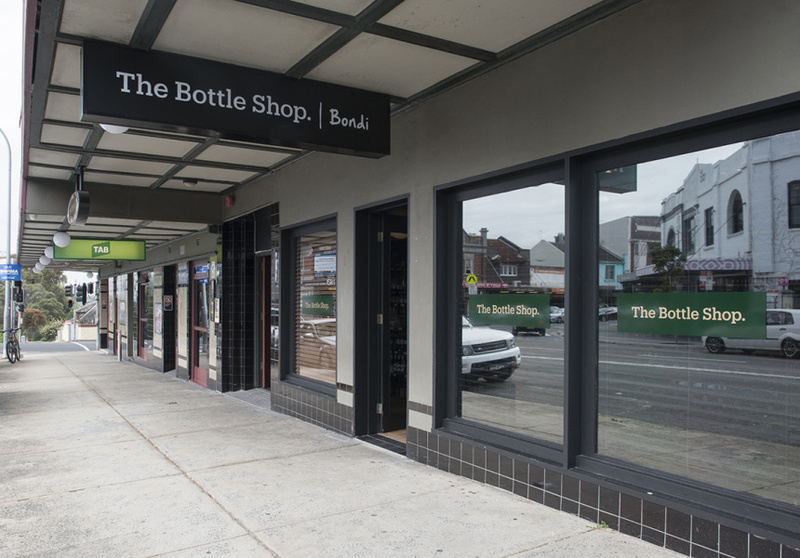 This same concept flows through to The Royal’s bottle shop, which has also reopened. 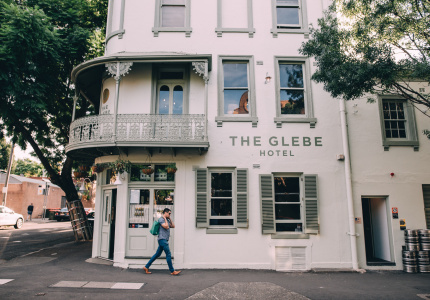 It was once the best place to buy a headache in a bottle, but now offers a fun selection of take-home drinks to suit every budget. Merivale’s house pies and sausage rolls, called Bert’s, are delivered fresh daily and kept warm in the oven. 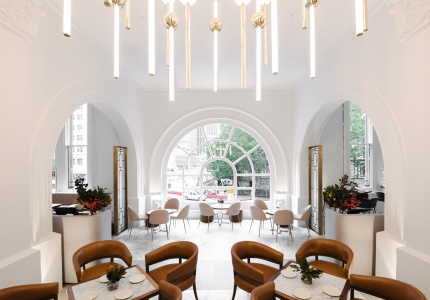 Additional food is available from Totti's, a casual Italian pop-up in The Royal’s courtyard, with woodfired meats, hand-crafted pastas and classic Italian cocktails on offer this summer. This article first appeared on Broadsheet on October 23, 2018. Menu items may have changed since publication.